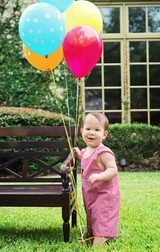 Caroline Bradlee Designs > BIRTHDAYS > BOYS > Custom Made Boy's Birthday, 1st Birthday Balloons Outfit. 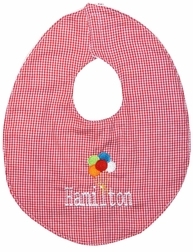 The John John or longall are made with your choice of color gingham and birthday balloons scheme. 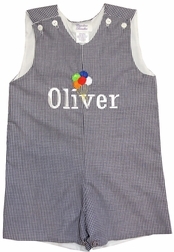 The front of the outfit is appliqued with balloons that are connected with to the little one's name if you choose that option. If there is not a name, the balloons stand alone. The middle balloon is embroidered with the number birthday your little one is having.